In this edition of A Fortnight of Fright, we’re sharing some delicious Halloween recipes and some fun DIYs and crafts. Have any Halloween parties coming up? These will be perfect! 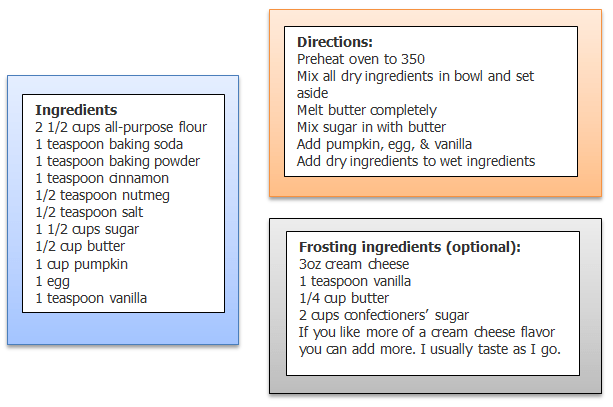 Okay you guys, this is my cousin Teresa’s AMAZING pumpkin cookie recipe. We had these once at a family party and they were to die for, no joke! You don’t have to make them with frosting, but trust me, you want to. Now, they don’t actually post the recipe for The Great Pumpkin Cake on the website, but it looks simple enough to dissect: Grab a recipe for a pumpkin cake and bake two in seprarte Bundt pans. Let the cakes cool and then pop them out of the pans and stack and place them one on top of the other to form a sphere, “glueing” them in the middle with frosting. Then proceed to frost the pumpkin all over. It looks like it gets a little complicated with cocoa (I think?) stems and marzipan leaves… Personally, I’d draw a face on it with more frosting or jel and make it a jack o’lantern to give it a better pumpkin effect because I certainly wouldn’t be able to make any leaves or stems! I haven’t tried these yet, but they look pretty easy to do, food coloring and all. Rather than a step-by-step instruction from me, head on over to a food blogger’s page at Kathie Cooks for the recipe and instructions! None of these tickle your fancy? I’ve been collecting things on my Pinterest board for Halloween DIYs and recipes! Take a look there to see if there’s anything you like! Fortnight of Fright 2016: Fall Apple Cake Recipe (Joannamarie from Wet Noses and Books) A Fortnight of Fright 2015: Intro & Sign-Ups! 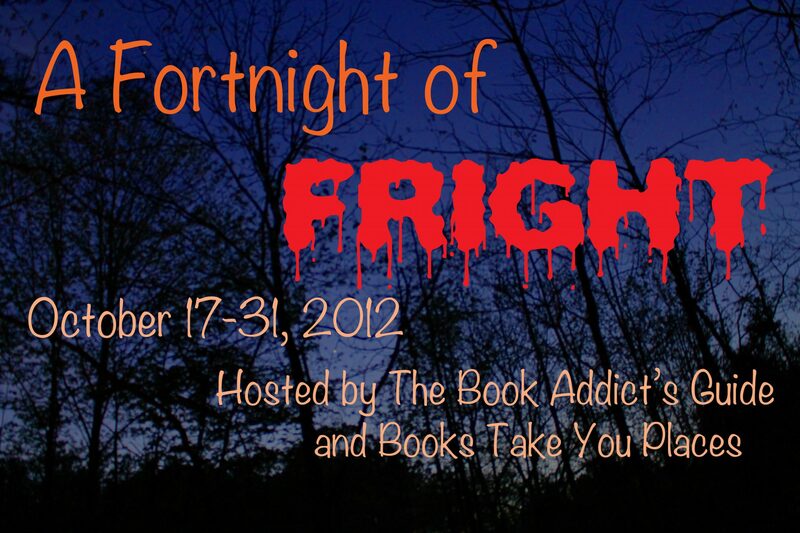 A Fortnight of Fright 2013: Intro & Sign-Ups! A Fortnight of Fright 2014: Intro & Sign-Ups! This entry was posted in A Fortnight of Fright, Blog Event and tagged A Fortnight of Fright, Baking, Halloween, Recipes on October 20, 2012 by Brittany. Ahhhh those cookies are so cute. I already have too many items on my “to bake” list! Why are you encouraging my obsession?! I love pumpkin! And candy corn! Nice recipes! I’ve been looking for stuff to try out for Halloween on Pinterest too, another good one I found today is a chocolate cookie, with a Hershey kiss on top and sprinkles, looks like a witch hat!